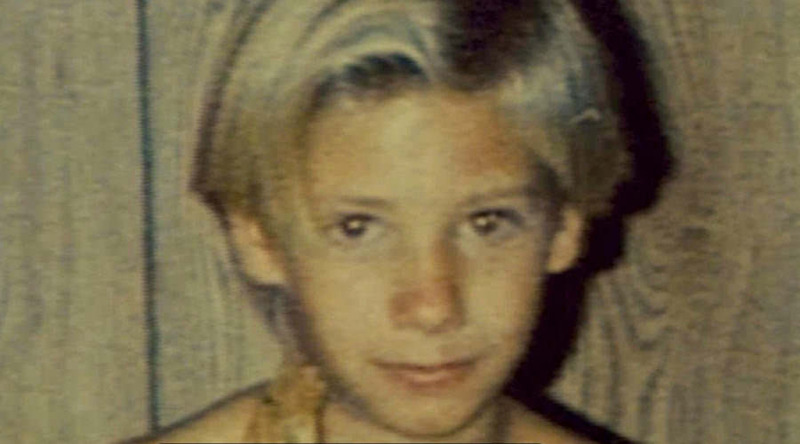 I have been requested to look at the case of Nicholas Barclay who disappeared aged 13 on the 13th June 1994 from San Antonio, Texas. From very brief detail I noticed immediately that this is far from a simple disappearance due to the fact that some time after this boy disappeared another person claimed they were him and his sister brought that person home. Of course once DNA and various other things were checked it turned out that the sister had brought home an imposter. Of course this is extremely complicated a situation as Nicholas has not been found and apparently there is some considerable background but I dont particularly want to get drowned in that before writing Tarot. I would like to simply write the basis of the story and leave a Facebook link and then ask Tarot what advice it can give. Due to the fact that it is a story that is not at all straight forward I have to hope that Tarot can separate 'people' properly ie, Nicholas from his imposter so we shall just have to see how it all pans out. Asking Tarot what might have occurred to Nicholas I am given the four of Swords. This card is reversed and its not a particularly good start. All I can do is write what I have and it is bound to pick up all kinds of circumstances besides what I am asking but if this is the advice that Tarot gives then I will simply repeat it. There was a plan to do something but the plan went out the window because a big argument broke out and this boy was separated from two others and with held. Firstly drugs can be involved here such as marijuana or something else. This is a card that suggests that there was aftermath of the argument and it seems to have squared itself off but even so it has not worked out well. The reason is because there is a person here who is throwing around a lot of abuse. Now I do have to mention the 'imposter' person traits can be picked up here and Im trying to just stick with Nicholas. However, Im just getting glimpses of this situation. You see the person who is being cruel or dominating could be a non biological father, so someone who picks up the tab as a father person or who takes the place of a father figure and tries to throw their weight around this boy. This is a very abusive and controlling person and situation. The whole of this part of the Tarot journey is not very nice at all. It involves a person who is a very bad character and the witness statements are either not true or things are being covered up is what I seem to be getting. I do not know at this stage 'who' Im picking out here exactly. As this boy was supposedly playing Basketball at the time of his disappearance I almost expected a Wand card to show up, but instead I get this card. The argument with the person seems to be the person I have described as the non biological father person but the argument died down that being said there are two people here that have not said a single thing. They know or they knew but this boy was separated and they know exactly what happened. This card can show knives, weapons, guns, cutting, separation. It can also bring up initials of people or places which could be connected ie B J D R. There was a secret but that secret is out so I think that bit is being aimed at the perpetrator imposter. So I want to leave that bit for a moment. I want to mention that this boy was STRESSED and he just needed some time out and that led to him disappearing. I also feel 'Cold' or 'Cool' being said to me. I see Railways, Canyon, Tunnel, Stone, Bluff, Golf courses maybe aeroplanes. Im just going to write everything down and see if we an make sense of it at the end. Also concrete. First this card is a 4 and I want to give numbers 4 and 2. This could refer to part route numbers, distance timing or have some other significance. Direction or word EAST. I have two person descriptions and place descriptions which I will place below. These are for Dee to look at to put pointers on the map. Dont worry if you dont understand them. South and south East is given which could relate overall or to the person described. Person who is strong and well set but short, with broad forehead, large head - prominent eyes, mouth and lips . Dark hair or complexion - 'black, rugged hair' and 'gross hands'. Places or 'sound like names' to do with Horses, bay for example, stables, cattle and places where they are kept.Farm land/pasture not near houses. Bungalows, sheds, outhouses, suggests single storey buildings, low rooms or cellars/basements. Gardens, fountains, bridal OR bridle, the word Fair, bed and breakfast places, music connections? wardrobes. Man who has white complexion but a little dark to it, possibly dark eyes, round face, small not large, fair hair smooth plenty of it light brown colour. posssible dimples cheeky air. Seeing someone who is lewd not worried about reputation, someone who is an adulterous type a fanatic enjoys drinking and hanging round with loose people, lazy no morals. North and North East Well built strong person, likely quite hairy hair dark, features dark and eyes dark and penetrating. Square or broad face, short neck, squat appearance. Someone middle stature, strong body but lean frame brown ruddy complexion, possible red or sandy hair crisp or curly, sharp piercing hazel eyes. Bold personality very fearless and active. A thief, murderous intent or temper, quarreler, creates problems, arguments, commits perjury, doesnt care about anyone or anything, not afraid of anybody very violent and capable of furious mood swings. Place descriptions somewhere hostile, very hostile environment that is threatening or fearsome, no light, restricted movement. Prisons churches cemataries. Water, or where water stagnates like swampy muddy ground bogs, marshes Ice or snow. Stagnant lakes, sewers, drains, black mud, underground places such as pipes, tunnels. Drowned or flooded land or just water laden or damp. Clay. Places cold and dark Decay or ruined buildings often near water, perhaps untenanted, demolition or renovation project or sites. North facing walls, gardens, mud, compost.Smiths, shops, furnaces, slaughterhouses, places where bricks or charcoal is burnt, chimneys, forges. Tailor, thieves. All clues for the map. A square and an Eagle. The Mother figure is also reversed so we have the home life 'blitzed' and not a feeling of 'home' in these cards. I feel like someone got really mad, might have been on drugs or off their head, I dont feel like this boy planned to go anywhere I cant see stuff packed or belongings exactly although if he did have something with him such as a wallet or bag it could be lost. Im almost sure Im seeing more then two people, maybe at least three here. I need to move on for the minute as Im feeling overwhelmed with information. I feel the sense of being withheld somehow. There MIGHT be an initial 'K' keys, quay or lock. I feel like someone who was supposed to be a mentor isnt. I see those two people who go against everything decent and moral. They have said nothing? Loss of balance. 'Need a rest, cant rest'. Doesnt want to listen, not interesting in listening. Closed mind. Being held hostage. Mental and physical health under stress. I am not very fond of the implications of some of this card as it can represent sexual matters. Not always the case but it can be here. Drugs are certainly prevalent. Seeing a lack of a window. Could be basement or cellar or somewhere dark? Tarot gives to me the Page of Pentacles for whereabouts. Of course all three cards printed have to be examined and combined for possibilities. Here though we have a North card but can signify North West. Numbers 11, 2 and 1 may be useful in routes, or part routes, distance, timing or have another significance. Places for map, deep wells, quarries, mines, land that has been dug. Hills, airfields or words like Air or has word Air in it. Some link to upper parts of house attic, roof, eaves or may have soundalike name in place. Seeing water or places that have water in name. Fountains, springs or those names, taps showers, water places or where power supplies are. Deserts, woods, valleys, caves, holes, mountains, churchyards, ruined buildings, coal mines. Muddy places dirty places, wells, houses or offices. These or any can appear in name on a map. Shins and ankles. Skeletal structures, joints and bones. Colour Blue or Blue Flag. Person description there are two but might also show place names within. Firstly strong sturdy body, short, long face, prominent bone structure. Clear fair complexion. Hazel eyes, honest face sandy or dark blonde hair. Also middle stature person, cold dry muddy small dark eyes, broad forehead, black hair, big ears, thick lips nose, possible stubble or very small beard. Might use a tool. This card can show a young person but also can show farmers fields and near a school. Somehow it can link to initials B J D R and a secret plus a woman. Something either written down or something that has not yet come out or not spoken about but seems to promote good news or some form of communication that would help if it surfaces. It is sitting next to a mother figure. I see Earth elements here so possible agricultural elements, but there is also a possible building too. I am seeing two dogs and an arch, I also see a path for walking? I am seeing a cop or a policeman or someone in military uniform. I also see a camera. I see a woman on her own or someone on their own in the garden of a building and I have a bird. Is that the Eagle thats mentioned previously? When I am asking where this boy is, this is the information that I am being given. Im shown North and South in the cards so far but this card is showing North West. I cannot say whether its North West of where he disappeared or whether where he is North West of there making where he disappeared South East if that makes sense. Perhaps there are two places? or maybe that was including a connection to the imposter. I think though this card is showing Nicholas. I get the word Eureka too. ?? I feel I should mention Justice. Righting a wrong. Maybe we have to right that wrong or maybe he is linked to Justice in some way. Was he ever made a ward of court? I feel as though Im seeing two pillars. I want to mention Mill or Will. A mechanic or the word Science. I may be completely wrong but by my first card I am not sure this boy was abducted or kidnapped and as this is a pentacle card. His mother's surname is Dollarhide ? That is a money name but may be there for some other reason. The map may/will show various areas when posted. When I was writing the last card I felt as though there would be news and information come forward. I thought perhaps that was linked to the past when the Imposter person gave a lot of hope as being Nicolas but of course we know that was not him. I receive this card though and its a joyous kind of card like someone is saying yes they will be found. The number is 9 I get the word day so Im not sure if that has something to do with the name of a place so I wont promote that but just to say Im getting some kind of wish here? I feel like he is showing me something blue and not to look at everything on the surface because something is hidden. See that table in the card ? it has a cloth on it and its like Im being told that people would look at the table with all the items lined up but nobody would think to look underneath so Im feeling that he is hidden and if we were to find him theoretically he would be beneath that table cloth. There is a red hat there so to me that is a red flag in the room so I know that Im being told this boy is hidden. Tools on the table. Of course this could be relating to previous searches as theoretically, Nicholas being missing is thought of as a cold case now being so long ago, but see this card is a 9 and it was in the 90's that he disappeared. Maybe he was hidden at that time? It has to be remembered that this card could cover places already considered including directions as being search and find will cover what might have been previously considered but it is also a future card. What I am concerned about here is that If someone wants to find this boy and wishes to do so they can because its a positive card, but it also seems to suggest he has already been found. Now we know that is not true so this is where Im being shown the past whereby it was thought the imposter was Nicholas and it isnt so that means if Nicholas has definitely not been found at time of writing then we are being told that he can be. We are told to consider that we are left in the dark and we need to shine a light on the matter. We are being shown somewhere alone and Im getting a hill peak or summit type name. A belt? I think there is something about an older man with a beard here as well. Im seeing camping, scouts, trailers, caravans that kind of thing. Not sure if that has been part of previous searches. Im seeing March and Sept/October. I dont know when that is. Maybe the 9 is showing both in the 90's but also perhaps it is 9 from now or whether its showing a month or a year or part of a year number. However, the basic answer here is that if you want to find him, then wish it and you will. Places for map, deep wells, quarries, mines, land that has been dug. Hills, airfields or words like Air or has word Air in it. Some link to upper parts of house attic, roof, eaves or may have soundalike name in place. Seeing water or places that have water in name. Fountains, springs or those names, taps showers, water places or where power supplies are. Deserts, woods, valleys, caves, holes, mountains, churchyards, ruined buildings, coal mines. Muddy places dirty places, wells, houses or offices. A drain? I feel inclined to mention being hidden once more and a hole and perhaps even a bridge. I cant be sure but that has come up. I do not comment on health matters and will not be including my thoughts on this. 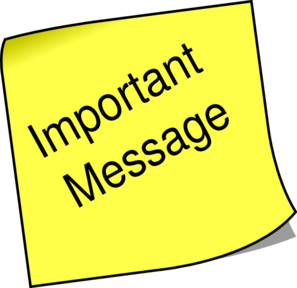 Please remember to combine the information and bear in mind Tarot is not FACT and does not guarantee any of the information given. If I have any more thoughts on this I will come back and add on.